The Australian Government contacted OHPI when they released their consultation paper on the Online Safety of Children asking for our feedback. 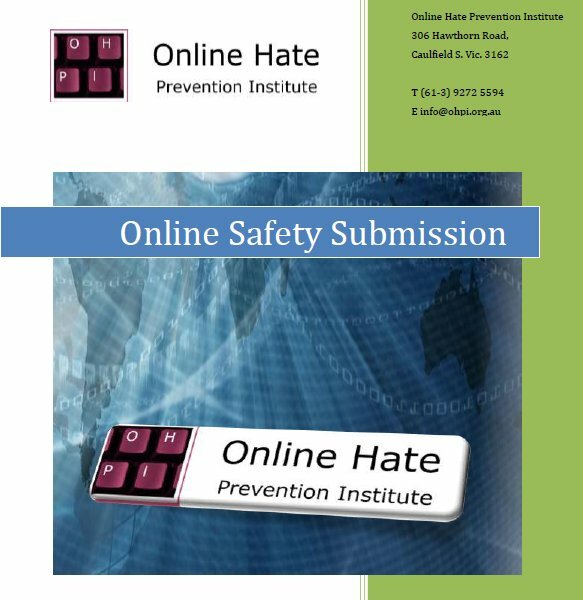 This submission provides an overview of OHPI’s preferred approach to managing online safety as well as answers to a series of questions posed in the Government’s consultation paper. The Government has proposed that a Children’s e-Safety Commissioner be created. OHPI supports this idea, though we do believe the position could be broadened into a general e-Safety Commissioner. Children are not the only ones who face serious online bullying and other forms of attack which can put their lives and health at risk. The first function relates to the removal of content from major social media sites in exceptional circumstances. Believe the Government needs a fast way to remove content that puts the safety of the public at risk. This is an exceptional measure which should not see regular use and should require Ministerial approval each time it is used. The second function related to setting and enforcing minimum standards the social media platforms themselves should apply to address online safety concerns. OHPI has a concern that major social media platforms are seeking to transfer the cost of enforcement from the company to the State. We believe this is inappropriate as the companies are generating significant profits, including from the Australian marketplace, and should also bear the bulk of the burden when it comes to the safety concerns their business creates. Government’s role should be setting acceptable parameters for how long they can take to respond to a user’s report, and for how often they can get it wrong both on the initial assessment and on review (or after a period that would permit review). The third function relates to real world consequences for people in Australia who engage in online activity that causes harm to others. This should cover cases where the harm occurs to another Australian, and cases where the harm occurs to someone outside Australia and a foreign government agency requests assistance form the Commissioner. We recognize that some problems can be handled online by platform providers, but repeat offenders or particularly serious instances of harm will require an offline response in order for the deterrent to be effective.